China pressures Japan because its looks better than pressuring Vietnam and Philippines? This Reuters article containing speculation that China’s navy is trying to “wear out” Japanese ships around the Senkaku-Diaoyu Islands, contains a little bit of interesting commentary about why tensions have increased so much between China and Japan. 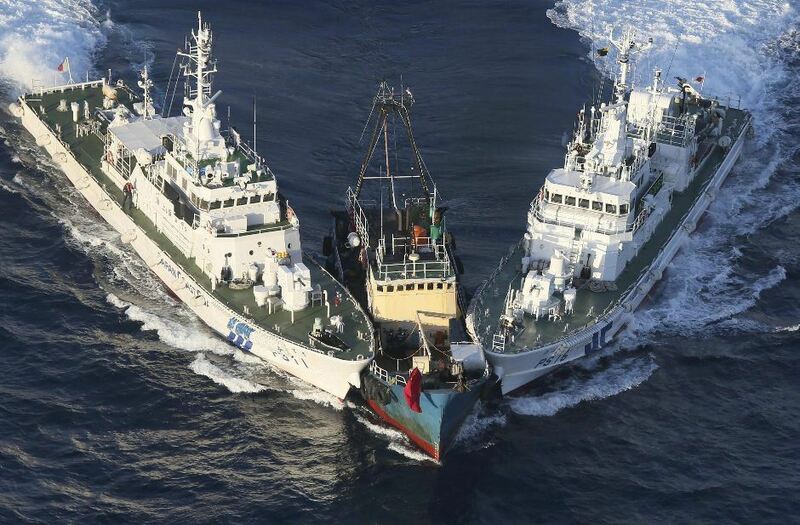 …military experts suggest Beijing has decided to intensify its operations against Japan, a nation whose wartime aggression is remembered across Asia, because confrontations with smaller neighbors in recent years had led to a region-wide diplomatic backlash. “The Senkaku/Diaoyu hoopla of late is triggered by China’s desire to extricate itself from total regional isolation caused by China’s expansive territorial claims against virtually all of its maritime neighbors,” said Yu Maochun, an expert on the PLA at the Annapolis, Maryland United States Naval Academy. This could be – but it strikes me as too coordinated for the Chinese. I can almost imagine forces within the PLA navy vying to outdo each other in taking tougher lines against the neighbouring nations. As Japan offers more resistance, it receives more pressure. At the same time, if China was trying wear out the Japanese coast guard and navy, I suppose that would hinge on the notion that Japan’s economy also couldn’t sustain such prolonged competition. We’ll see. My favourite part of article: the PLA reference to “islands” located off the Chinese coast. Telling language about Japan. In late January, the PLA said a naval fleet would conduct a naval exercise in the Western Pacific after “sailing through islands” off the Chinese coast, a clear reference to the Japanese archipelago. The navy had conducted seven similar exercises last year, it said. Just some islands there. Japan.